What makes Denmark the happiest country in the world--and what are the secrets of Danish parents for raising happy, confident, succesful kids, year after year? This upbeat and practical guide brings together the insights of a licensed psychotherapist and a mom -- a Dane and an American married to a Dane, respectively -- on the habits of the happiest families on earth. 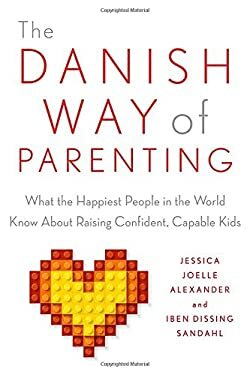 The book delivers fresh advice on how to: - Encourage free play- Foster authenticity and confidence- Nurture empathy- Emphasize teamwork over power struggles- Celebrate togetherness Filled with practical takeaways and inspiring examples, ""The Danish Way of Parenting"" will help parents from all walks of life raise the happiest, most well-adjusted kids in the world.